I have a really exciting giveaway for you Mummies out there, as some of you know I'm a busy mummy myself and also a Childminder. So having the perfect changing bag is paramount to me. 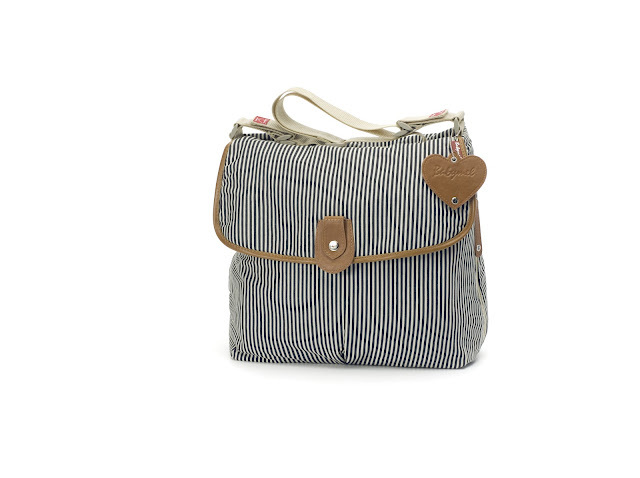 Beauty In The Mirror has teamed up with the lovely peeps from Babymel UK to offer one lucky parent the chance to win their gorgeous stylish Navy Stripe Satchel. I think finding the perfect changing bag which looks stylish and doesn't clash with everything you wear is a challenge. However thankfully Babymel has the perfect changing bag, one which looks like a normal casual everyday hand bag. However once you delve inside you'll soon find hidden pockets and extras which help you organise all your baby bits! I love the velcro straps, allowing you to attach the satchel to your stroller. Having the two large storage compartments is great, a compartment for you and one for baby! Leave a comment letting me know you have done the above and remember to leave your twitter handle/email so I contact the lucky winner! oooh amazing giveaway, LOVE that bag! I'm a private profile so you may have to request to follow me to see that tweet above, I hope it doesn't disqualify me from the giveaway! I've been hunting for a changing bag and I love this one!! Fantastic giveaway! I've been hunting for a changing bag and I love this one! Fantastic giveaway!! I've followed your blog on bloglovin and for the extra entries I've like 'beauty in the mirror' and 'babymel UK' on Facebook. I've no idea how I posted the above 4 times...I didn't mean to! Very sorry!! I'm so sorry...I've no idea how I posted the above 4 times! Please just take it as one entry + the 2 extras for the Facebook likes. I followed via GFC (Lauren Adams); liked the facebook pages (Lauren Adams) followed you on both Twitters (@lozadz) and tweeted about it too (https://twitter.com/lozadz/status/237834918565134336)!